In Forbes Magazine’s inaugural 10 Most Urgent list which highlights some of the world’s journalists currently most endangered, Afrik 2 Radio’s Northwest Correspondant and publisher of the monthly Aghem Messenger magazine, Thomas Awah Junior, featured as one of the world’s endangered truth-tellers in jail, for trying to inform the public. According to Forbes Thomas Awah Junior is a Journalist jailed on anti-state and false news charges. Thomas was sentenced to 11 years in prison by a military court in Yaoundé on May 25, 2018. He was found guilty of terrorism, hostility to the fatherland, secession, revolution, insurrection, the spreading of false news–including by electronic means–and contempt for civil authority. Committee to Protect Journalists (CPJ) who has has written to President Paul Biya requesting that he be released on humanitarian grounds says Awah was arrested in Bamenda on January 2, 2017, while interviewing protesters for Afrik2 Radio. Awah was also found in possession of documents from the secessionist Southern Cameroons National Council (SCNC), which was banned a fortnight later by authorities, CPJ states in a report. 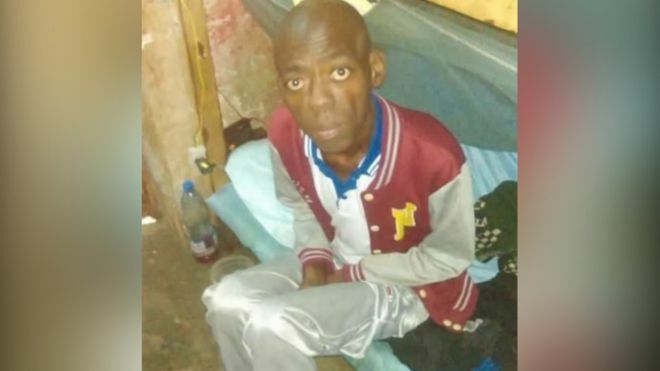 Last September 17, thanks to a social media campaign which went viral, an increasingly frail Awah Junior was taken to the hospital after prison authorities refused to admit him in a hospital. He was suffering from chronic tuberculosis and pneumonia. Awah was discharged from hospital a month later on October 16 because of mounting hospital bills and was sent back to Kondengui prison.